Has your garden gotten away on you? No problem, our professional gardeners can bring it back under control! 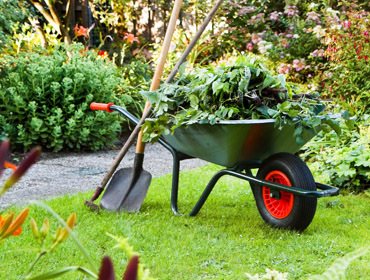 Graham’s Garden Care Gardeners are the experts when it comes to rejuvenating your garden with a professional garden clean up. Beautify your property for sale or just so you can find the kids and pets! Graham’s Garden Care provide professional lawn mowing and gardening services in all Brisbane suburbs, Redcliffe, Pine Rivers, Brisbane Western Suburbs, Logan, Bayside and Redlands, as well as the Gold & Sunshine Coasts. Our professional lawn and garden specialists are experts in garden care, garden maintenance, lawn mowing and general garden tidy ups including rubbish and green waste removal. Gardens can easily get out-of-hand and start looking scruffy even during the slow growing time of year. Whether it is spring, summer, autumn or winter there is nothing like having a well maintained garden and lawn. Do not let your property get out of hand – keep it well in control with the help of our professional gardeners. Call Graham’s today on 1300 134 035 or fill out the FREE QUOTE form to the right of the page for a no-obligation FREE QUOTE from one of our fully trained professional gardeners – now is a great time to get those garden clean ups completed.